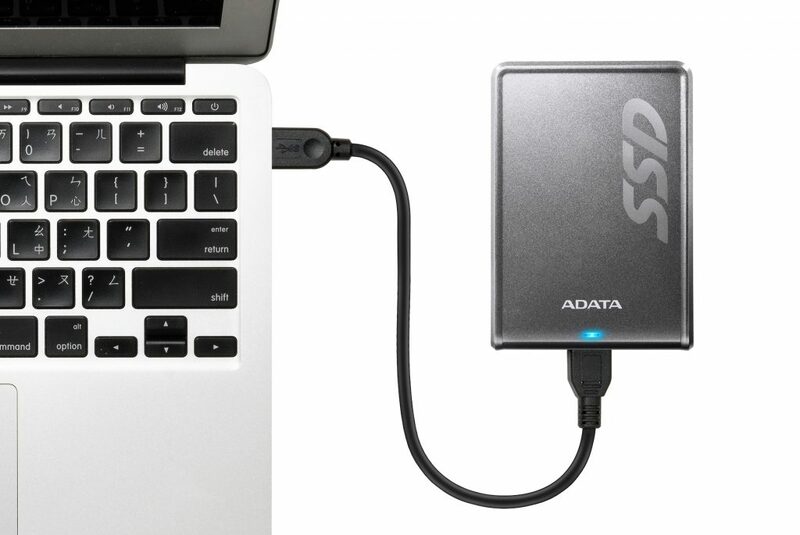 UK – December 8, 2016 – ADATA Technology, a leading manufacturer of high performance DRAM modules, NAND Flash products, and mobile accessories today launched the updated Premier SC660H and Premier SV620H external SSDs. Based on previous designs, the new models are part of the ADATA move to 3D NAND Flash in all new SSDs and in refreshes of existing models. The SC660H and SV620H feature 3D TLC NAND instead of traditional 2D NAND to provide increased reliability, durability, and efficiency. 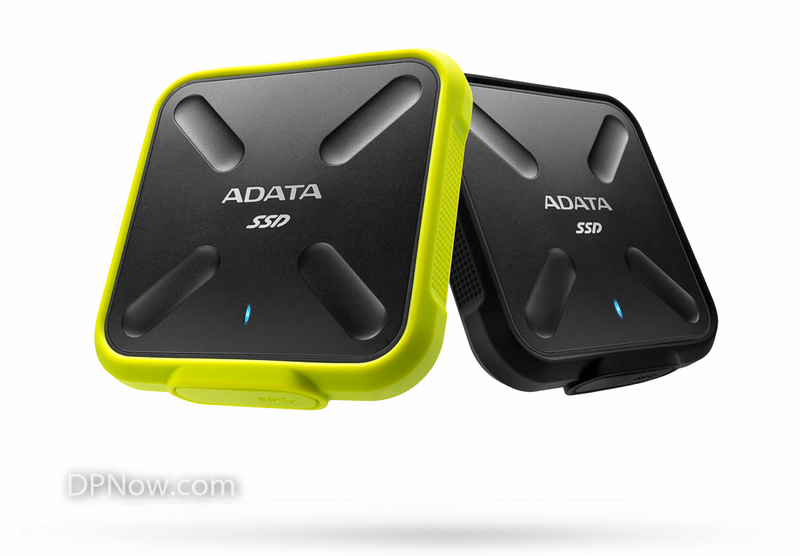 The drives connect to host PCs via USB 3.1 Gen 1, and are presented in two distinct enclosure styles. Thanks to 3D NAND, the updated SSDs are available in 256GB and 512GB as opposed to 240GB and 480GB in the original SC660/SV620. Performance is 440MB/s read and 430MB/s write in both models. The SC660H measures just 9.6mm tall. Its slim enclosure uses electroplated and textured titanium, ensuring a high degree of resistance against shocks, scratches, paint chipping, and fingerprints. The SC660H weighs a mere 73g, a fraction of the bulk of an external mechanical hard drive. Also light and slender, the SV620H likewise employs a sandblasted titanium enclosure that makes it shock and scratch resistant. Its flat surfaces are raised 0.75mm, so that even when moved across a desk or other area the risk of unsightly scratches is minimised. The SV620H weighs 76g, and like its SC660H sibling has a cool blue activity LED. The 3D TLC NAND used on the two external SSDs is more reliable than 2D NAND and enables “packing” more storage into identical product chassis. At 256GB and 512GB, the SC660H and SV620H offer more space than their predecessors without consuming extra power. They are extremely efficient and ideal for notebook PCs thanks to placing very little stress on batteries. Like all SSDs, they run totally silent and cool. With their 3D NAND, the SC660H and SV620H simply offer a better value than 2D NAND-based external SSDs, representing another step in ADATA embracing new technology to benefit consumers worldwide. ADATA Technology, one of the world’s largest vendors of DRAM modules and USB flash drives, provides complete solutions, including memory cards, solid state drives, and portable hard drives. ADATA products also include on the go power for mobile devices and the company is now a major provider of advanced LED lighting. ADATA products continue to garner international acclaim from organisations such as iF Design Awards (Germany), red dot Awards, CES Best of Innovations Awards, Good Design Awards (Japan), Best Choice of Computex Awards, and Taiwan Excellence Gold Awards. The company’s slogan of Love, Life, Dreams embodies the ADATA brand and the role of innovative memory products in the human pursuit of universally-cherished ideas. For more information, please visit www.adata.com. ADATA® Technology, a leading manufacturer of highperformance DRAM modules and NAND Flash products, today unveiled the SE730, SC660, and SV620 external SSDs. Freecom announces the introduction of the mHDD Slim – a compact, lightweight and stylish portable drive in a strong metal enclosure that joins a wider family of new Desktop HDD and SSD products.